What Are Inpatient Hydromorphone Overdose Recovery Centers? 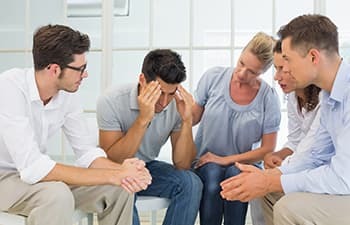 If you are struggling with a drug addiction, finding the right inpatient treatment center to help you recover and live a drug-free lifestyle can be challenging, especially with the numerous options available across the nation. Individuals recovering from a hydromorphone overdose or addiction can find the help they need through an inpatient drug recovery center. According to the Drug Abuse Warning Network, admissions to hospital emergency departments due to non-medical use of opioid painkillers increased 183% from 2004 to 2011, and the number of visits related to hydromorphone overdose increased 438% during the same time.1 If you want to ease the transition back into a healthy, sober lifestyle, we can help. Call 1-888-319-2606 Who Answers? to explore your treatment options. Inpatient hydromorphone overdose recovery centers provide patients with the care they need to overcome their drug addictions and live drug-free lives upon completion of the program. At the treatment facility, patients can focus solely on recovering from hydromorphone overdose without the inhibiting factors of daily living, and each individual receives 24-hour care and supervision. “Inpatient hydromorphone overdose recovery centers provide patients with the care they need to overcome their drug addictions and live drug-free lives upon completion of the program.”Inpatient drug facilities may also help re-socialize clients as they develop healthy alternatives to drug use. It is important to find a facility that offers acute drug rehab and recovery programs. Acute hydromorphone overdose recovery centers are staffed with health care professionals who have been specially trained in drug rehabilitation, providing them with the experience and knowledge they need to deal with the unique challenges individuals face when recovering from a hydromorphone overdose. Look for a facility that has both psychiatrists and rehabilitation nurses to ensure proper care. Patients should receive round-the-clock care and one-on-one psychiatrist visits, as well as intensive therapy focused on helping individuals achieve a drug-free lifestyle. Most patients recovering from a hydromorphone overdose benefit from a combination of therapies, including occupational therapy, physical therapy, speech and language therapy, psychotherapy, behavioral management therapy and recreational therapy. Search for a facility that provides the therapies that suit you best. Drug rehab centers may be located in nursing homes, hospitals or stand-alone facilities. Some offer longer rehab programs with independent living areas and large therapy gyms, while others do not. If you need complementary services, such as radiology or private living, you should factor these criteria into your search for the right addiction recovery facility. SAMHSA’s National Survey on Drug Use and Health, approximately 23.5 million people required treatment for alcohol or illicit drug abuse in 2009, but only 11.2% of those who needed drug addiction treatment sought the help of a drug rehab facility.2 If you or a loved one is recovering from a hydromorphone overdose or addiction, finding the right inpatient drug rehab center is essential to a successful recovery. Please call 1-888-319-2606 Who Answers? today. 1. Substance Abuse and Mental Health Services Administration. (2013). Drug Abuse Warning Network, 2011: National Estimates of Drug-Related Emergency Department Visits. 2. National Institute on Drug Abuse. (2011). DrugFacts: Treatment Statistics.